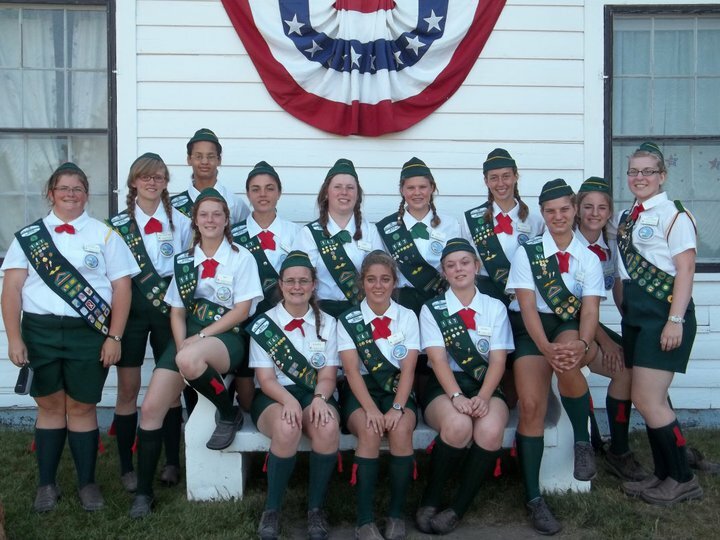 The Mackinac Island Honor Scouts provide service to the State of Michigan by acting as official guides. It is the only location in America where Girl Scouts are an integral part of the operations of an historical site. Daily responsibilities of the Scouts include conducting morning and evening flag ceremonies, standing guide duty at the fort and historical buildings, marching skills, housekeeping duties and numerous service projects. This year Emily Bergren, Elizabeth Bergren, and Kaylan Fitch served as Mackinac Island Honor Scouts. These girls have been Girl Scouts since Kindergarten and continue to be active in their local troop 460 which also includes Emily Barnard and Kelly Koon. All five girls are currently working on their gold award which should be completed before they graduate from high school in May of 2013, at which time they will have been a Girl Scout for 13 years!